I've found that dental hygiene in teenagers is a bit hit and miss. We typically see some plaque buildup around their teeth and some inflammation of the gums. I have spent a few decades creating two great smiles, and here are some helpful dental tips I have learnt along the way. 1. An electric toothbrush for a teenager is a really good idea. I am a fan of the Oral B Professional Care 3000 twin pack. Firstly it's cheaper than the top of the line toothbrush, which is the Oral B Black (yes, things go missing) and comes with two complete separate handles, which is especially good for one teenager; one for home use and one for travel. The same toothbrush can be used for siblings, by changing the toothbrush head, along with the colour-coded band. There have been some troubles with this. Firstly they don't seem to care which colour band is on the toothbrush head, and use whichever is on there. Secondly it is usually not convenient for them to be using the same toothbrush handle at a similar time, and thirdly it is hard to gauge when the charge will run out when there are multiple users of the same handle. Other reasons that I like this toothbrush are that the two minute timer is very good for children to determine how long they ought to brush, it has an inbuilt pressure sensor, and it is powerful and long lasting; with a plug in and a very portable power pack. 2. Change the heads of the electric toothbrush each couple of months for teenagers. For manual toothbrushes, always use soft or extra soft toothbrushes, and change them each few months again. Keep the toothbrushes or toothbrush heads from touching anything, or toothbrushes from touching other toothbrushes to prevent contamination. I prefer the Oral B precision clean heads. 3. Always have a box of floss handy next to the toothbrush to inspire flossing. The Teflon coated fibres like Colgate total floss are easy to use, or Oral B Ultrafloss is popular also. Sometimes people prefer different brands. Minty floss can be something teenagers like to use because it gives the feeling of freshness when flossing and afterwards. Anything to motivate good dental care is on the cards. Parts of the teeth are hidden where the toothbrush cannot reach. Half an hour of tooth brushing will not remove the bacterial film that sticks in between the teeth. Only floss or interdental brushes (dentists and hygienists like the Tepe brand) will dislodge food debris and plaque. Some teenagers like flossettes or flossers. The reach access flosser is also good. I have all of them available to encourage good home care. I can't watch them all the time, in fact once they leave home that's kind of it, so by giving them the opportunity to find out what it is that will work for them, I have found is the best way. 4. For braces, have a box of Oral B Superfloss and fine interdental handles available. If your teenager has a permanent bar/retainer on the inside of their teeth, they will usually need Superfloss, which has a nylon thread that can clean the gap between the teeth, underneath the arch wire, or an interdental brush to get in between the teeth, because the positioning of the retainer usually means that the area is difficult to access. There are also Orthodontic Oral B electric toothbrush head attachments that make it easier to clean around the brackets that are attached to the teeth. Extra care is needed with braces because food tends to get stuck around the brackets and wires much more readily. 6. Use a fluoride toothpaste. Adult toothpaste is fine. The children tended not to like anything too minty. They liked the 3M Clinpro Tooth Creme in Vanilla mint, and have been using it for years. 7. Mouth rinse is not necessary but thorough tooth brushing twice a day, and flossing once a day at night time is. 8. Take the children to the dentist and dental hygienist for preventive care each 6 months, or at least once a year, to instill healthy life habits and to monitor dental health. We tend to give them a mark out of 10 for dental health and care which seems to resonate well with teenagers and lets them know how well they are going. By attending regularly teenagers are less likely to have a dental phobia, which presents in adults regularly, because children are able to see that routine preventive care has allowed them positive dental experiences. They are unlikely to have negative dental experiences with regular checks and cleans and dental preventive care, and associate the dentist as a regular health requirement in their life, rather than a place to be feared. Creating positive relationships with the dentist creates stability in care. Some of our patients now in university first came in Grade 1, and some from high school now attend with their own children. 9. It's hard but keep an eye on sugar intake of teenagers. Water is best to hydrate. 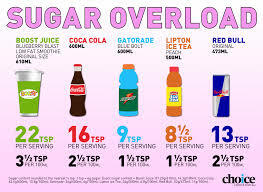 Flavoured milks, Milo, cordial, juices, smoothies, milkshakes, iced teas and coffees, energy drinks, sports drinks, energy supplements, soft drinks and mixers are all loaded with sugar. Lollies, chocolates, biscuits, cake and ice creams shouldn't be eaten every day. Keeping sugary foods, cereals and drinks to once or twice a day will ensure that the balance in the mouth is optimal to prevent tooth decay. After sport, drink water, not sports drinks. If minerals are needed, eat a banana. 10. Diet is critical. Whole and unprocessed foods, 2 pieces of fruit a day, vegetables, water, less sugary and refined foods and cutting down on junk will make your teenager healthier in so many more ways than just dental. Good habits early on do last a lifetime.